Using our wide range of contacts within the hotel and entertainment sector we can source everything a group organiser needs from accommodation to show tickets, to make a stress free and enjoyable vacation or day visit. 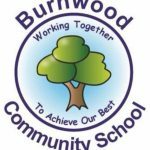 We have over 20 years experience in the school transport industry and successfully work with numerous schools and colleges across Staffordshire and Cheshire. Each year we run a full calendar of popular holidays and excursions covering the full reaches of the UK. In 2017 we have some old favourites along with some top new destinations. We run numerous day trips each month. Always check this the website or call into the office to see what new trips there are. 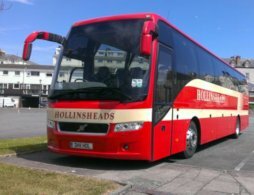 Hollinshead Coaches is a well established independent coach company based in Biddulph, Stoke-on-Trent, operating coaches ranging from 16 to 57 seats, including top of the range executive coaches. The company was founded in 1926 and has been under its current ownership since 1985. We pride ourselves on being a family run business with a professional approach, where the key decision makers are always available making us an efficient and easy company to deal with. Hollinshead Coaches specialise in all private hire, school transport, home to school transport, corporate events, sports teams, theatre groups, U3As, Probus groups and wedding services. We also offer our own holiday program and day excursions. We are fortunate to have an experienced staff who provide an excellent service and are always willing to do that little bit extra to help and improve our customers’ experience whenever possible. 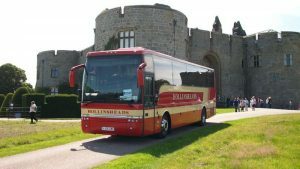 Hollinshead Coaches provide the complete transport package for any type of journey; from a local private hire for the girl guides to a complete weekend package for one of our corporate customers. We have the coaches and drivers for any transport needs. 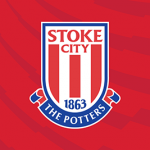 For a number of years the members of the Knypersley & Biddulph Stoke City Supporters Club have travelled to Stoke City matches courtesy of Hollinshead Coaches of Biddulph. Since the football club’s elevation to the Premier League the supporters club use six coaches for each home fixture, with a coach travelling to away games as required. Not only has the company provided the transport in a highly efficient and punctual service at all times, their willingness to be flexible to meet our required needs has been much appreciated. Above all, this local family run business treats its customers in a friendly and courteous manner. In these difficult times they remain highly competitive on price, and long may our successful association continue. On Thursday 17th August 2017 I travelled with the Alsager U3A to Coniston for a steam boat trip. Excellent day as expected. Two full coaches; ‘led’ by Glynnis Roper. Darren, our driver was fantastic, we all complimented him not only on his smooth driving but his attitude and great sense of humour. Totally professional. Talking to friends on the other coach, Paul was equally excellent. I just wanted to let you know what a fantastic driver came with us on Tuesday to the Stoke v Watford match. He was great and really pleasant with the children. He also helped us to find where we had to go into the stadium, this was excellent service. We made really good time with both journeys. It was a pleasure to travel with Hollinshead Coaches.